YOU SAVE BE YOUR OWN! Esu present in Radiance, as near as your very breath. YOUR MIDDLE EAST REGION IS LIKE A BOILING CAULDRON ABOUT TO EXPLODE. THE POSSIBILITY OF WAR AND THE PROBABLE USE OF ATOMIC WEAPONS IS SO GREAT, THUS POTENTIALLY IGNIT­ING YOUR VERY ATMOSPHERE, THAT I FEEL IT IS TIMELY TO PRESENT FOR YOU SOME MATERIAL WHICH WE HAVE DISCUSSED BEFORE. WE HAVE WRITTEN ON THIS SUBJECT IN MANY DIFFERENT WAYS, BUT LET US EXAMINE THIS PARTICULAR DOCUMENT WHICH COMES FROM THE "CATHOLIC" PERSPECTIVE. The book is titled, The Three Days' Darkness--Prophecies Of Saints And Seers, by Albert J. Herbert, S.M. In order to appreciate more fully what God is teaching us through warnings of darkness to come, it might be helpful for us to reflect, in this chapter, on the reality of physical and intel­lectual darkness and its effects on our lives. The material darkness forecast to come, that of the Three Days' Darkness, is inseparable from intellectual and spiritual darkness, the darkening of the mind and will. If we reverse things a bit, in the beginning darkness covered the Earth, before the Spirit moved over it, and before the creation of man, who was to come and who was to be gifted with the light of reason and the flaming love of good. Ye, many of His own still, along with the world, receive Him not, which is the rejection of the Light of Truth and the Flame of Love. And so the darkness remains and the darkness in­creases. It spreads and mushrooms and will soon be made ma­terially manifest in an immense physical darkness as well, when day itself will be like night. "There shall be three days of darkness, during which the at­mosphere will be infected by innumerable devils, who will cause the death of large multitudes of unbelievers and wicked men. Blessed candles alone shall be able to give light and preserve the faithful Catholics from this impending dreadful scourge. Super­natural prodigies will appear in the heavens...."
Later we shall see more details about the mad activities of desperate demons who know their time is limited. They will be allowed to harvest their prey, the unrepentant wicked who want to be with the devils anyway. We also hear terms like "infected" and "pestilential air" in prophecies about the Dark­ness. Other passages speak of the "stink of hell" or the "plague". Perhaps if these people had modern vocabulary at their disposal they would have spoken of "pollution", "radiation" or "chemical spill" which denote dreadful realities of our own day. As we have indicated earlier, the spiritual war that has in­creased in intensity for some time now is a plain fact of life. And it continues to heat up, expanding daily in breadth, depth and intensity. It is the war between good and evil, light and darkness, between demons and wicked men on the one side, and angels and saints on the other. All material evils, disasters, warfare--both "Conventional" (deceptive word!) and nuclear--are but outward manifestations of that spiritual war which broke out in Eden and will continue until the "mopping up" process, following on Christ's victory on the Cross, is complete. And that will only come when all mankind accepts Christ's call to get to the root of the trouble, the evil of sin, and accept the remedy of repentance, reform and perseverance in good. Meanwhile, as one Catholic paper recently observed: "A terrible darkness is descending upon the leaders of the Western world." (One might as well read: "the entire world"!) None are so blind as those who will not see! "The reign of Antichrist is approaching. The thick vapors which I have seen rising from the Earth and obscuring the light of the Sun are the false maxims of irreligion and license which are confounding all sound principles and spreading everywhere such darkness as to obscure both faith and reason." "This catastrophe shall come upon the Earth like a flash of lightning at which moment the light of the morning Sun shall be replaced by black darkness! No one shall leave the house or look out of a window from that moment on. I Myself shall come amidst thunder and lightning. The wicked shall behold My Divine Heart. There shall be great confusion because of this utter darkness in which the entire Earth shall be enveloped and many, many shall die from fear and despair. "Those who shall fight for My cause shall receive grace from My Divine Heart; and the cry: 'WHO IS LIKE UNTO GOD!' shall serve as a means of protection to many. However, many shall burn in the open fields like withered grass! The godless shall be annihilated, so that afterwards the just shall be able to start afresh. "On the day, as soon as complete darkness has set in, no one shall leave the house or look from out of the window. The darkness shall last a day and a night, followed by another day and a night, and another day--but on the night following, the stars will shine again, and on the morning the Sun will rise again, and it will be SPRINGTIME! "There will come three days of continued darkness. The blessed candles of wax alone will give light during the horrid darkness. One candle will last for three days, but in the houses of the godless they will not give light. During those three days the demons will appear in abominable and horrible forms; they will make the air resound with shocking blasphemies. "The lightning will penetrate the homes, but will not extin­guish the light of the blessed candles; neither wind nor storm nor earthquake will extinguish it. Red clouds like blood will pass in the sky, the crash of thunder will make the Earth trem­ble; lightning will flash through the streets at an unusual time of the year; the Earth will tremble to its foundations; the ocean will cast its foaming waves over the land; the Earth will be changed into an immense cemetery; the corpses of the wicked and the just will cover the face of the Earth. "The famine that will follow will be great. All vegetation will be destroyed as well as three fourths of the human race. The crisis will come all of a sudden and the chastisement will be world-wide. The next thing to remember is that the Three Days' Darkness will be an apparently continuous night, one long night, and has been announced simply as a "night" or the "darkness". There will be no sunrise or sunset to mark the day and night, no Moon, no stars, a continuous blackness, a 72-hour night. Hence, one should have a wind-up clock or watch, kept wound, and a "log" to mark off when "day" and "night" have passed during the 72 hours. There will be no utilities to count on: no electricity and all those "necessities" and conveniences which depend on electricity, no lights, no heating or cooling systems, no air-condition­ing, no ceiling or other fans, no TV or radio, no electrical clocks, no water pumps, etc. It may be that even batteries will not function although they are advisable for flashlights and ra­dios in case some stations are still operating. There will be no gas and probably no water utilities, no re­frigeration to keep foods unspoiled (after hurricanes people have had to give refrigerated food away at once), no cooking or bak­ing, no microwave ovens, no toasters, mixers, and all the rest, no hot tea or coffee, no iced tea or cold drinks. There will be no phones, no showers or bathing, no clothes, washing ma­chines or driers, no dishwashers, no regular flushing of toilets. Mankind will really be stripped down to basics and will know how much he depends upon God, something many have forgot­ten. Many prophecies say no artificial light will avail, so having blessed candles on hand is vital both for illumination and for protection. And don't forget some matches! "A little more about the great distress. To begin with, a strong warm wind will come from the south. It will seize upon the whole globe and cause dreadful storms. After this, about ten claps of thunder at once will strike the Earth with such force that it will shudder throughout. This is a sign that the great tribula­tion and the black darkness are beginning. These will last three days and three nights. "On this account people should go into their houses, close them up well, darken the windows, bless themselves and the house with holy water, and light blessed candles. Outside such dreadful things will be happening, that those who ventured to look will die. All the devils will be let loose on Earth, so that they can destroy their prey themselves. "'The demons will howl upon the Earth and call many, in or­der to destroy them. They will imitate the voices of relations and acquaintances, who have not reached a safer place. Once the horror commences, do not open your door to anyone at all! "'In many places several people will gather together for fear. From the same group, some will perish, others remain alive. For this day and moment, and for that darkness, many will have prepared the blessed candles, but they will not burn, if the peo­ple have not lived in accordance with My Commandments; oth­ers will even be unable to light them for fear. But for those who believe, although they have but a stub of the blessed candle, it will burn for these three days and nights without going out. Some people will fall into a deep sleep granted by Me, so as not to see what is happening on the Earth. All the buildings on Earth will collapse, and only here and there will a simple, mod­est little house remain, in which the light of the candle will glimmer. In many places, the heaps of corpses will be so great, that no one will be able to make a passage through, on account of these bodies; there will not be anyone to bury them." "The Guardian Angels will watch over the people who are spared. The buildings which ought to be preserved will be raised and protected by God's power in the moment of the most dreadful horror. "Our Lord told Julka, 'There will not be many priests left." GOD IS LIGHT AND LIFE! GOD IS NOT A DESTROYER--MAN IS A DESTROYER OF LIFE. GOD CREATES AND GOD CAN UNCREATE. MUCH OF WHAT YOU HAVE JUST READ HAS COME FROM THE "CATHOLIC" PERSPECTIVE. DO NOT BE PUT OFF BY THIS, BUT RATHER READ BETWEEN THE LINES. THESE ARE PROPHECIES AS PUT FORTH BY MAN, AND WHETHER MAN EXPERIENCES THESE THINGS REMAINS IN MAN'S HANDS, BUT I MAY TELL YOU WITH SURETY THAT THE WAY THINGS ARE CURRENTLY GOING ON A GLOBAL SCALE, THE DAYS OF DARKNESS WILL BE EXPERIENCED. THIS DARKNESS WILL HAVE BEEN CAUSED BY THE CHOICES OF A SELECT FEW. MAN WILL REAP WHAT HE HAS SOWN--BE IT LIGHT OR BE IT DARK­NESS. I HAVE SAID IT BEFORE AND IT BEARS REPEATING: THE LAWS OF GOD HAVE BEEN PUT FORTH FOR YOUR USE. THEY PROVIDE FOR BALANCED LIVING WITHIN THE CREATION. NOW IS THE TIME TO LIVE ACCORDING TO THOSE RULES OF BEHAVIOR, FOR THEREIN IS YOUR SHEL­TER AND SAFETY. LET THOSE AMONG YOU WHO WISH TO REBEL AND HEAR NOT, TURN AWAY IF YOU CHOOSE, BUT BE PREPARED TO REAP THE WHIRLWIND. YOU HAVE BEEN COUNSELED; YOU HAVE BEEN TAUGHT; YOU HAVE BEEN PAMPERED; AND NOW YOU SHALL DE­CIDE FOR SELVES THAT WHICH WILL BE YOUR ULTI­MATE DESTINATION IN THIS JOURNEY OF SOULS. MAY YOU FIND SHELTER WITHIN THE WINGS OF THE FATHER. 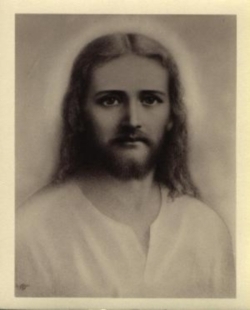 I AM SANANDA, IN SERVICE TO ATON AND THE CRE­ATION. MAY THE LIGHT YOU SAVE BE YOUR OWN! The "How can this happen?" and "What in the world is going on here...?" are fine, but very silly, things to even vocalize. You DO know what is taking place and when you spend your time "I just don't see how...!" you are making the level of non-under­standing like the lid of your coffin. The "enemy" of freedom knows you people have the attention span of two year olds. I plaster Dharma to that vidiot box, ON THE NEWS NETWORKS, every minute she is not at the com­puter. Little things SLIP through and you can learn more in one day than I can cause you to learn in a month. "But it upsets me, Sir." So be it, and how is anthrax in your dooryard going to help that upset? Rolaids won't cut it. You can now look globally at things and SEE and KNOW what is coming down, from your flooded fields to every happening in the world. The government comes along and says "Oh, sorrow, Mr. Farmer, this is terrible but we will save you. We will give you low-cost loans and we will all live happily ever after." So you sink selves into debt even further. You fudge on the damages to "get a few dollars more"--but wham, bam, thank you ma'am, there is no way to earn enough to meet the replanting, repair the equipment, redo the dwellings and barns AND PAY THE DAMNED NOTES WHICH WILL IMMEDIATELY BE COM­ING DUE. This is the plight of YOUR WORLD. "But we pay the government to take care of us," you cry. You what? YOU PAY THE BANKS, THE FED, SO THAT THEY CAN LEND MORE AND MORE AND MORE DEBT WITH NO BACKING. AND THAT IS NOT "YOUR LITTLE GOVERNMENT", SILLIES, THAT IS THE International Monetary Fund/WORLD BANK WHO WILL DECIDE THROUGH THE "FIXED" UNITED NATIONS WHO WILL LIVE AND WHO WILL DIE. IN ADDITION, THE U.S. AND ISRAEL DON'T EVEN HAVE TO REMOTELY CONSIDER WHAT THE UNITED NATIONS WANTS TO DO--YOU HAVE SET YOURSELVES ABOVE THE LAW. Do any of you realize that, for instance, the "no-fly zones" in Iraq HAVE NOTHING AT ALL TO DO WITH THE UNITED NATIONS? THOSE ARE SET UNILATERALLY BY THE UNITED STATES WITH YOUR JEWISH CONGRESS AND ADMINISTRATION. DO ANY OF YOU REALIZE THAT YOUR ALLY GASSED THE KURDS IN NORTHERN IRAQ--NOT SADDAM HUS­SEIN? Do any of you remember the road back from Kuwait to Iraq when YOUR MILITARY killed hundreds of thousands of Iraqis because you chose to give a walking army 48 hours to make a five-day (minimum) trip? Go read your military master's latest revelations--a new book, you know. You know, by that British Knighted leader, Sir Swartzcough. This was decided by Sir Bush, Sir Powell and Satan. And what are THEY doing, being SUBJECTS OF THE BRITISH CROWN? And TRUTH? Well, they are all unified in presenting strategy--"one truth MUST be surrounded by a full body-guard squad of lies." Funny? You be the judge. The media connections with the military and government liars, cheats and thieves, even SHOWED parts of their film to get the "leads" straight of what they intended to start showing you the idiot public--TODAY. What will you do about the Gulf armies, ships, and other show­off things in that area--now that Kofi has negotiated "peace"? It is only costing you BILLIONS A DAY just to have them there--that, I am telling you, because Cohen won't answer your ex­pense questions. A good question was asked last evening about that "standing army and armada": "What will they do? Will they spend the next years away from home buried in the Kuwait sands and do­ing figure eights in the Gulf?" What else--EITHER WAY? What will the Kings of war decide? Who can go to war without killing somebody somewhere? Well, there may be some distant hope in them-thar hills and sand dunes. The Moslems are restless and MAD AS HELL AND THEY AREN'T GOING TO TAKE IT ANY LONGER. HOW MANY OF YOU KNOW THAT THE U.S. CAN'T CONTROL (EXCEPT THROUGH THREATS AND MONEY GIVE-AWAYS) CHINA AND RUSSIA? Wow, and BOTH are talking about letting the U.S. have its stupid sanctions on Iraq while they plan to start doing business with them AGAIN. You see, children of the lie, OIL is NOT the bread of life; IT HAS BECOME THE COMMERCE OF FOOLS. No, when resolutions are made and there are built-in agreements that a sanction or things of that sort will be set forth--until..., then each party must decide when the debt has been met. Now, people of the U.S., YOU TOUT YOURSELVES AS BE­ING HUMANITARIAN AND LEADERS OF THE WORLD IN KINDER AND GENTLER NATION-STATUS (remember Bush?). Well, spare ME from your kind of kind and gentle in­terchange. At some point, however, sleepy babes in the woods, you are going to look around you and gasp at what you have allowed to happen. Do any of you remember Grannie? How about Russell Herman and the nutty professor? Do you remember Bush, Bentsen, Baker III, North and dozens more involved hyper- or super-gods? Remember that certificate from Peru that seems to have bottomless energy and value--all nicely calculated to never run out of fund-value? Well, how many of you realize that value will be into the octodecillions by 2001? There isn't enough money in the world to cover it and you can't run your printing presses enough to print enough! "Oh well, they will negate it..." you say? They CAN'T--they have used it and set its value and they use it unlawfully and without honor of any kind. I WOULD SUGGEST IT WILL BE THE ANTICHRIST'S DOWNFALL IN A VERY IMPOR­TANT WAY THAT EVEN ANTICHRIST CAN UNDER­STAND. Mr. Bush thought a "super-fund" for his NEW WORLD ORDER (he said it to you all, not me) would be nice for his own godship and, thus, created it from a nice little Peru­vian Bond bearer certificate--held by Russell Herman. At this moment the value of that "super-fund" sloshes around the 4-sextillion range--give or take a few trillion. Can your Trea­sury pay it? It is a LEGAL DEBT OF THE U.S. That also makes it, since it came before the Federal Reserve takeover, a debt of the Fed. THAT in turn makes it a debt of the IMF and WORLD BANK. Golly gee whiz. Does Antichrist win so eas­ily? Perhaps. Remember that myth where Jesus said, "Anything I can do--you can do--and more!?!" Well, George Bush believed him--and did--lots more! And, brer inquisitors, do you REALLY THINK the Treasury (of the U.S. yet) is going to verify such a thing? Do you REALLY think the Fed is going to validate such a thing? Why do you move from fantasy land into la-la land with­out blinking an eye? If a thing is good enough for Satan to hold--I wonder since when is it NOT ok for GOD to have? GOD CREATES--Satan USES. And mostly the ones he uses "all the time" are you, you, and you. YOU pray and pray and pray, and then God answers you and sends a messenger with the pearls. You don't stop until you tramp the pearls AND THE MES­SENGER into the polluted mud swamp. God gave that fund TO YOU. TO YOU! And, you killed the messenger and tore up the paper. Well, not exactly; nobody BOTHERED TO EVEN RESPOND EXCEPT TO SOME CRIMINALS AND CROOKS WHO THOUGHT THEY COULD BEAT OUT SATAN FOR A BIT OF PLUNDER. I HOPE YOU THINK ABOUT THIS AS YOU SIT ON YOUR CLOUD ON RAPTURE DAY!